There are many reasons why you’d want to start researching and investing in some natural ways to cure gingivitis. For starters, you want your mouth to be healthy. And perhaps you’re on a budget, or prefer to go the holistic route when it comes to your health. 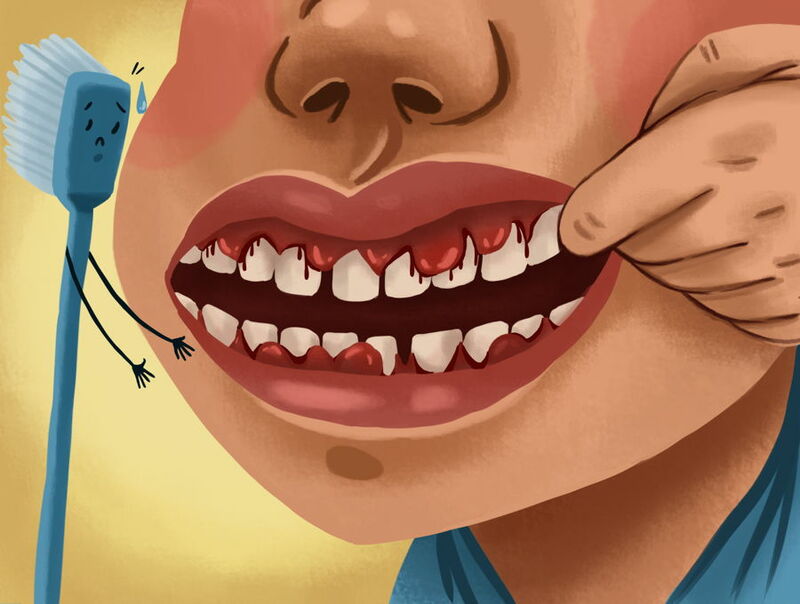 The truth is, if you think you’re having gum issues, you are not alone. In fact, according to the Centers for Disease Control and Prevention, nearly half of all Americans suffer from some form of gum disease. Gingivitis is a mild gum disease that starts with a plaque as it fills on the teeth. 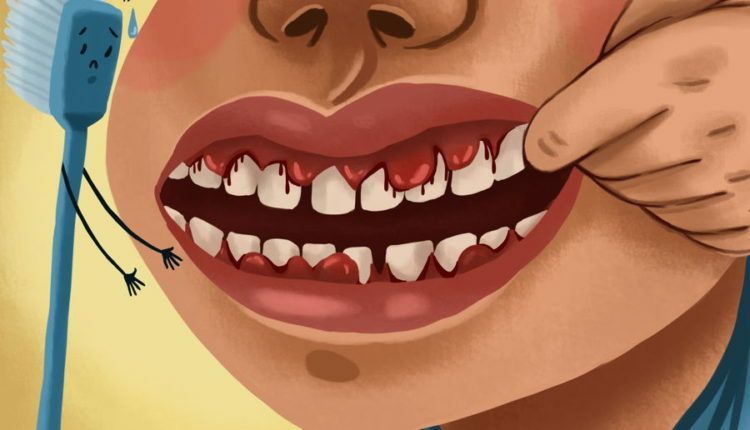 When a person’s teeth have plaque buildup from, for example, not brushing their teeth regularly, that plaque can harden and turn to tartar that stays at the base of the tooth. When this happens, it causes inflammation in the gums and surrounding tissue area. If this isn’t treated properly, the gum tissue in your mouth can eventually recede, which creates bacteria pockets than can actually damage the jawbone. What’s worse is that gum disease can even contribute to other health issues, like heart disease, arthritis, or strokes. According to a study published in 2016, a saltwater rinse can be very effective in healing gums that are inflamed, largely because salt is a natural disinfectant. Salt has other benefits, too. For instance, it can soothe inflamed gums to help ease the pain, and even remove food particles to keep the mouth clean. Making a salt water rinse is relatively easy: simply mix a teaspoon of salt with a glass of warm water, and rinse for 30 seconds. Repeat three times per day. If a dentist notices you have a mild gum disease, they’ll likely provide you with a chlorhexidine oral rinse to be used twice per day. However, you can make your own lemongrass mouthwash at home, and some studies have even found this to be more effective than its standard counterpart. To make your own lemongrass oil, simply add two drops of the lemongrass to a glass of water, mix, and rinse in your mouth for 30 seconds. Repeat this two or three times a day. While just two or three drops may feel like it isn’t much, it crucial that you don’t add more. Because lemongrass is so potent, if overused, it could cause even more inflammation in the mouth. Much like the lemongrass mouthwash, the tea tree oil rinse can be very effective for gingivitis. This is especially true if you notice some bleeding in your gums: another study found that tea tree oil helped gums that were bleeding. Use three drops of tea tree oil in a glass of water, and gargle three times per day. If you want to use the tea tree oil, however, you should do some additional research, as tea tree oil can have some negative reactions with certain medications, supplements, and herbs. Bear in mind that although there are some natural remedies, if your problem persists or gets worst, you should always talk to a dentist. Professional assistance cannot be replaced in times of need. Not all types of gum disease can be treated with natural remedies. If the gum disease has progressed too far, you’ll need dental treatment.